The ‘city of lakes’ Thane is located in the north-eastern part of Mumbai in the Indian state of Maharashtra. It is home to around 35 lakes, out of which the most famous ones include Masunda Lake and Upvan Lake. Surrounded by hills on all sides, Thane is situated on the Salsette Island and has an elevation of 7 metres above sea level. Other than its natural beauty, the city is also known for its annual grand celebration of festivals like Ganesh Chaturthi, Gokul Ashtami and Durga Puja that attracts a huge number of tourists. When it comes to accommodation, visitors will find numerous hotels in Thane which cater to high-end travellers as well as budget travellers. 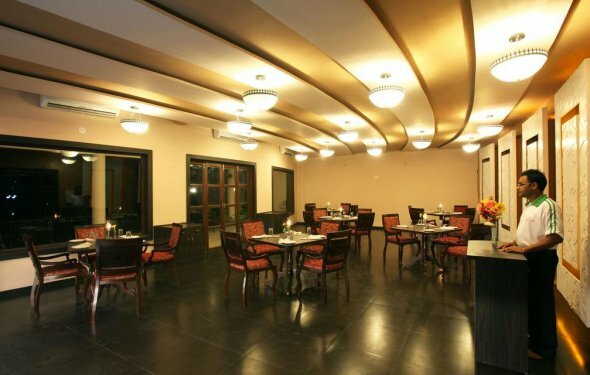 A 4 star property, Hotel United 21 Thane is crafted with 46 tastefully designed rooms. It is located just 2 km away from Thane Railway Station and about 30 km away from Chhatrapati Shivaji International Airport. Some other hotels in this category include Satkar Residency and Fortune Park Lake City. Among 3 star accommodations in Thane, travellers can choose from many options like Hotel Vinyasa, Hotel Sea N Rock and Oyo Rooms Thane. Their well-maintained cozy rooms are equipped with modern amenities like LCD TV, air-conditioner, front desk and power backup. In category of economical Thane hotels, properties like Hotel Ratna Palace Residency, Hotel Sharada International and Hotel Mourya Residency are suitable for both holidaymakers and corporate travellers. Their proximity to Thane Railway Station, courteous staff and standard facilities make them an instant favourite among budget travellers who want a comfortable stay in affordable price. Apart from the beautiful lakes and hills, Thane offers its explorers many other attractions like Sanjay Gandhi National Park, Har Har Gange Fall (India’s largest and biggest artificial waterfall), Ambarnath Temple, Bassein Fort, Kelva Beach and Jawahar Palace. The best time to be in Thane is undoubtedly during winter as the temperature drops down to a cool 10°C, making the travelling and exploring part of the visit pleasantly memorable. Artwork Description Gateway of India on the dockside beside the Taj Mahal Hotel, Mumbai, India, Asia. Artwork Description Gateway to India and Taj Hotel, Mumbai, India, Asia.